The Rev. James Lawson, center, receives the UCLA Medal as well as a specially commissioned poster for his decades of work advancing civil rights. Acclaimed civil rights activist and a man Martin Luther King Jr. once hailed as the world’s leading theorist and strategist of nonviolence, the Rev. 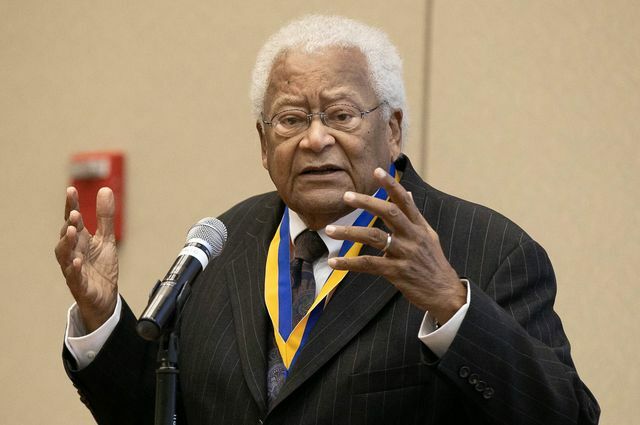 James Lawson Jr. has been honored with the UCLA Medal, the campus’s highest honor. Nominated by the UCLA Institute for Research on Labor and Employment, Lawson’s recognition comes as the nation marks the 50th anniversary of both the death of King, who was a close friend and colleague of Lawson, and the historic Memphis sanitation strike, which Lawson, now 90, helped lead. “Despite the vicious opposition the civil rights movement endured, despite the ongoing violence we see from Ferguson to Charleston to Pittsburgh and abroad, James Lawson has remained steadfast in his commitment to nonviolence as both a political tactic and a moral calling,” said UCLA Chancellor Gene Block on Nov. 28 to an audience of several hundred people. The crowd gathered in Carnesale Commons included Lawson’s wife, Dorothy, and their sons; California State Sen. Maria Elena Durazo and L.A. County Supervisor Mark Ridley-Thomas, who both spoke as part of the program; members of Holman United Methodist Church, where Lawson served as pastor; members of the labor community; and UCLA labor studies students, many of whom have taken Lawson’s wildly popular class on non-violence and social movements, which Lawson has taught since 2003. “His message to us is as urgent as it was in the 1950s and ’60s: That we must commit ourselves to peaceful means of resolving conflicts and to live with the compassion and empathy necessary to realize that our well-being is tied to that of others, and that justice is everyone’s responsibility,” said Block, who presented the UCLA Medal to Lawson. A third-generation Methodist minister, Lawson, who was born in Uniontown, Pennsylvania, earned his ministry license in 1947 during his senior year of high school. Soon after, he was drafted into the military, refused to enlist, and received a two-year prison sentence, of which he served 13 months. 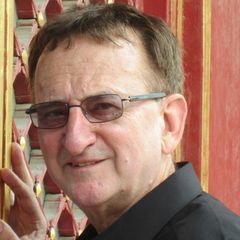 Following his sentence, Lawson served as a missionary in India, where he first studied nonviolent resistance and embraced the practices of Mohandas Gandhi. The Rev. James Lawson gives a speech after being presented with the UCLA Medal. Lawson viewed the struggle for racial justice as a matter of extreme spiritual importance and returned to the United States with the lessons he learned in India and a strong sense of how they could be applied for the betterment of American society through leadership and teaching. Among other things he developed strategy for the Freedom Riders, some of whom were UCLA students and alumni, taught the theory and practice of nonviolent direct action to student, activists and future civil rights leaders, including fellow UCLA Medal recipient John Lewis, beginning in the late 1950s continuing to the present day. 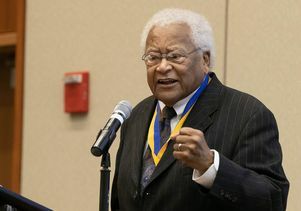 “I don’t know a better way that I could have spent the past 15 or 20 years than being on this campus and teaching oncoming generations,” said Lawson, who also spoke about the importance of recognizing one’s life as a gift and a source of great power in the elimination of inequity and cruelty, and his desire to see the academic community place a primary emphasis on highlighting human history from the perspective of nonviolence. He also shared his belief that humankind’s capacity for monumental social change can be realized if people see their potential for positive advances through nonviolence. 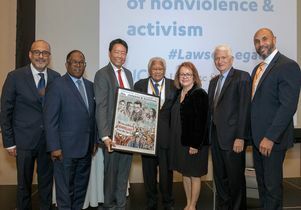 Following Lawson’s talk, Kent Wong, director of the UCLA Labor Center, presented Lawson with a framed poster, commissioned from a local artist, depicting his accomplishments and impact on civil rights and labor rights activism. 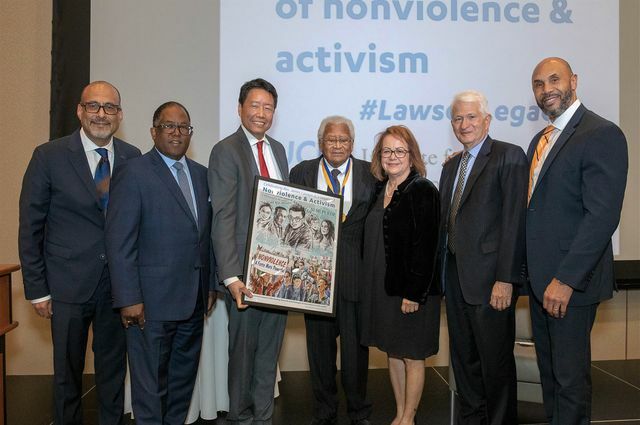 Wong also announced the creation of the UCLA Lawson Legacy Project, which will establish an annual Lawson Lecture on Nonviolence beginning in 2019 and a scholarship that will be awarded to a deserving student who embodies the theory and practice of nonviolence. The scholarship will also be named in Lawson’s honor. Established in 1979, the UCLA medal is presented to those whose achievements reflect the highest ideals of UCLA. Among the heads of state, artists, scientists, scholars and leaders who have received this honor have been presidents Bill Clinton and Jimmy Carter, Los Angeles Mayor Tom Bradley, architect I.M. Pei, Supreme Court Justice Harry Blackmun and UCLA basketball coach John Wooden.